Wow Wow Wow, what an amazing camp. 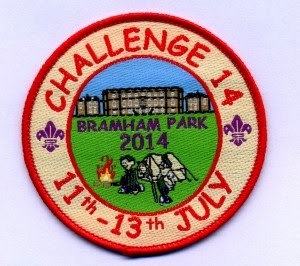 Over 3700 scout members from Central Yorkshire camped at Bramham Park for an unforgettable camp.  Friday night Cubs and Scouts had a traditional fun fair for entertainment, all rides for free including Free hot dogs. During the night (whilst some were sleeping!!) the fun fair was cleared away and the activities set up for the Saturday & Sunday. What an amazing and varied amount of activities they had to choice from, here are just a few I can remember: Zip Wire , Water slide , Segways, Bouncy castles, Bouncy castle slides, high ropes course, abseiling, grass sledges, SCOUT SKILLS, Bush tucker trail, bush craft skills, handmade crafts, rodeo bull, driving simulator, cave bus, human table football, fire engine visit with demonstration, water maze, mountain bikes, bouldering wall, crate stacking, log saw challenge, shooting, archery, and much much more.... these are just the once I can remember. A big thank you to all our young members who attended, their attitude, behaviour and enthusiasm made this a very enjoyable camp. 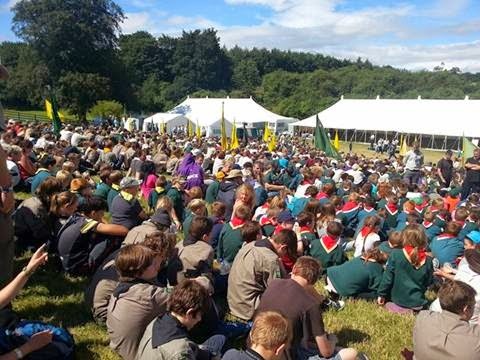 A big thank you goes out to all our adult leaders and helpers, from those who came to help pack trailers, pitch tents the night before and who stayed over the weekend, you know who you are and we couldn't have done it with out you. An even bigger thank you to the county team who organised this event for our members, young and old, to enjoy, we will see you at Challenge 2017.